MURUA. If someone would have told me that I would be on a billboard in Japan one day, I would never have believed them. Remember when I went to LA back in December for a photoshoot with a Japanese brand? 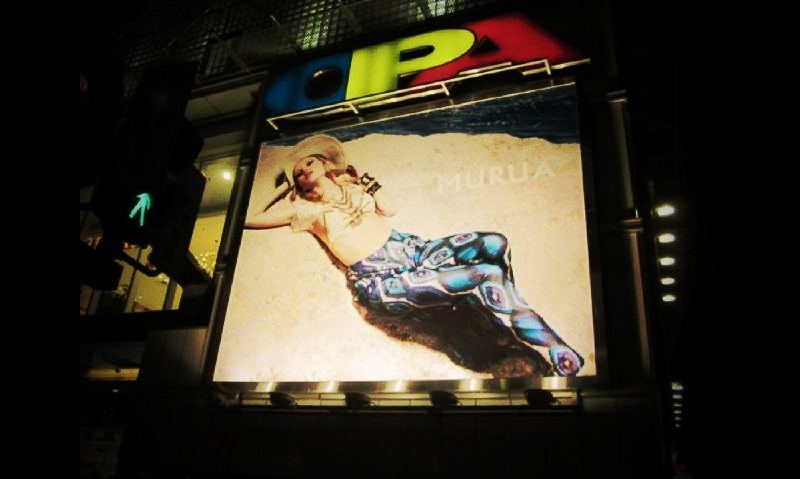 Well, it was for MURUA’s s/s 11 campaign + lookbook, and apparently, I’m on a freakin’ billboard in Tokyo right now!! Surreal, but amazing! you look fabulous!!! so great! You’re lucky! I wanna go to Japane too. hi, its fist time to write down. Im Japanese girl, 18 years old. I always see this blog, I like “MURUA”. OMG! That’s unbelievable, congratulations :). Btw beautiful picture. Truly happy for you! Congrats you look wonderful. I wish it was only beginning !! ohno. I accidentally put a link on my last comment! you can delete my comments if you want..
You have to belive it now! congrats! Wow, go, go, go, that’s wonderful!!! Congrats! A gorgeous image to have on a billboard. That’s so cool! You look beautiful, great shoot. the add and picture are beautiful! so amazing and unreal to be on a billboard in japan! Wow that is surreal and incredible! you look beautiful! That is just so freakin cool! Congrats! wow, congrats! it must be so rad to see yourself on a big billboard like that!